Schools matter, because without good schools, how will our children figure out how to solve the problems we've created? And when I speak of 'our children', I do so in the broadest terms--those of us who are parents want our sons and daughters to have opportunities to learn in good schools, of course. But all of us will be better off if every child in this nation--on this planet--is given the opportunity and tools they need to wonder, learn and create. There are many reasons for that. Maybe one of the millions of bright children born in villages every year will grow up to solve the world's--or at least her village's--environmental problems. And of course, no democracy can function with voters who are incapable of independent thought and action. There have been books written about this, I'm sure, but I'll just skip the hyperlinks and appeal to your common sense: people who can't add, subtract, think, are bound to get cheated--by the anyone who comes around selling a liquor...a religious sect... a political line. Many of you know Kabir Arora, who's been a student leader in Delhi for the past few years. 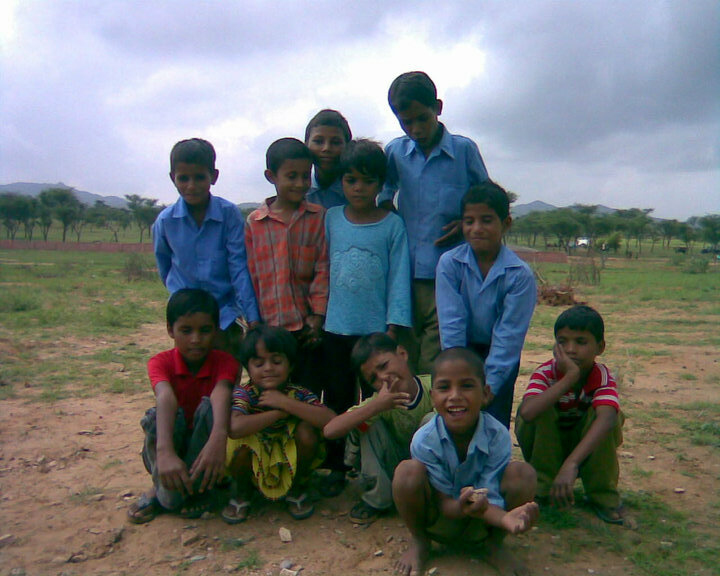 He's now begun a two year Gandhi Fellowship working in village schools and communities. Kabir has agreed to send us updates about his work. His first piece appeared here. Today he introduces us to the school where he is posted, a school where learning takes place without computers. In fact, it takes place without electricity or toilets. What's required? 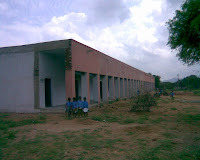 A building, teachers, and above all, some very curious children. 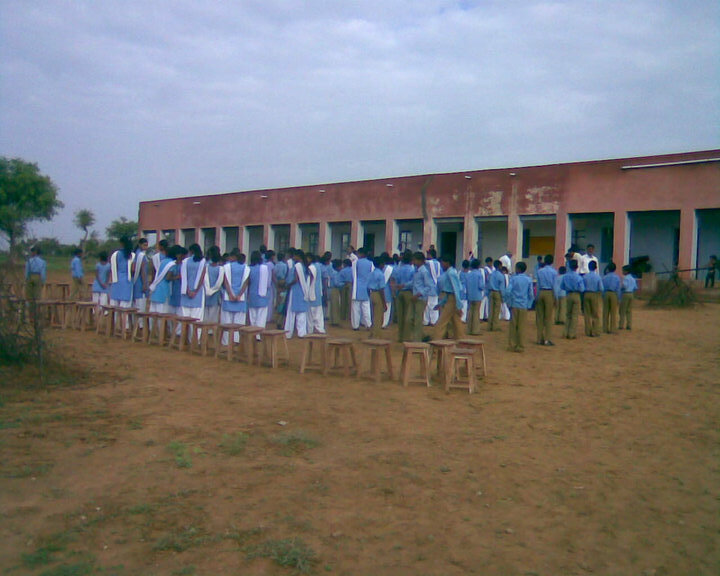 from other Government Schools in Rajasthan, Boring! Life there full of energy and creativity. Every child has an adult hiding in him/her. The journey in the school was all about exploring that hidden treasure of maturity. Mischievous ideas in innocent minds make a good base for a vibrant classroom. Let me take liberty to introduce you to each and every kid of my class. creates trouble and distracts all others who are lost in their work. 2. Sonu: Cute girl who loves to follow the instructions. 3. Sonam: Older than other students of 2nd standard, intelligent and competitive. Very vocal. 4. Pawan: Mischievous student-slow in mathematics, my favorite, I see myself in him. 5. Mukesh: Exciting and amazing glow on face, when learned something new. 6. Naveen: Not much interested in studies but love sports, fastest runner. 7.Kiran: Always keen to play with colors, initially bit hesitant, now one of the most vocal student of the classroom. 8. Seema: Talk very less but a beautiful smile for everyone. 9. Kishore: Made for Guru ji's instruction. There are around 13 kids in the class but only 9 show their faces daily. standing in front of her. Owns a “Ghodi”. 6. Vipin: Son of the “Master ji”, see me as his personal property. kid in the school. Innocence flows like a deep river from his eyes. 8. Baljeet: Never in a mood to study. Up for “Dour” (race). 9. Monica: Get absorbed completely in whatever she is doing. 11. Priyanshu: Shows his face once in a week. 12. Babita: Just came for a week, very keen to explore the world of mathematics. yet to be explored. Flowers yet to be bloomed! Apart from 2nd and 3rd I used to take Geography class of 8th standard. 29 kids in the class, so tough to write about each and every individual. But very chilled out class, girls and boys all very vocal and loud. Meena Ji, not able to recall his full name. Passionate about dogs, attached to kids, sometimes hit them-many times found in classroom of 1st - 2nd standard after mid-day meal. Teach with conventional methods, still better, at least taking a class. Two Lady Teachers, five male teachers. All of them take classes except one-PT Master, his only activity in recent weeks, was to guide kids for tree plantation. reading the newspaper and solve crossword puzzle as if passing time in school. Maths teacher-too keen to know more about my kurtas and deodorant, but a good teacher whenever in the class. Always ready to test my knowledge in front of whole school. on the social “status” of any one. Ignorant about Caste dynamics in the school. economic background of my students through this information. School is having a very good reputation, produced state toppers, cricketers who played till state level, one IITian in the list of itineraries. Enough of infrastructure to support more than 120 kids, 8 teachers and a Gandhi Fellow. No toilets. No electricity connection. Who says whole of Rajasthan is electrified? teachers share the food with the kids. Next week: the writing--and drawing--on the wall. Kabir's story is so inspiring. And I like the way he's given us a brief character intro to a lot of the kids. It's going to be so interesting to read what he's up to. Thanks for posting. Banno, Thanks for stopping by. I'm glad you liked this. More to come. @Hari: Even I'm excited and desperately waiting for rest parts to come. well i liked it much. even we are thinking on that way for establishing school on villages of jharkhand, where some of the ideas are shared by this school. let's see when this dream comes true. Great Efforts you have made. We are expecting these efforts from every India, then only Indian literacy will be 100%. WELL DONE.